Max has been on his school summer holidays now for three weeks and we have been really fortunate with the weather – warm and sunny a lot of the time! So we have been making the most of it and getting out and about on plenty of day trips and spending some lovely quality time together as a family. We have countless wonderful places to visit in Northern Ireland and when the sun shines there really is nowhere else to compare to our lovely wee country. We have had trips to various parks, forests, a maze, farms, museum and enjoyed bike riding as well as lots of walking, running and playing. I would say over these past few weeks Lucia has walked – and of course ran as she runs everywhere – more than she ever has so far. Wherever we go she starts off in the buggy but usually after 10 minutes at the most she wants out. And when she wants out, she wants out. She takes her arms out of her straps, morphs into a poker and slides down as far as she can while shouting ‘I want to get out!’. Usually she’ll get out and walk/run around for a while and then I can coax her back in again, but not lately. Firstly she just wants to be doing what her big brother is doing, secondly she is now has a very strong independent streak and thirdly it’s a lot more fun out of the buggy (for her) than in it. The main thing that has been on my mind this last while though is just how much walking and running she is doing. Obviously I know that exercise is fantastic for her and she is getting plenty of it, but through reading other people’s experiences of Lymphoedema it is clear that affected limbs can often feel very tired and achy by the end of the day and through the night. So I have been very conscious of this as she is racing around. One particular day we went to an amazing forest park with a lake, hills (that we rolled down! 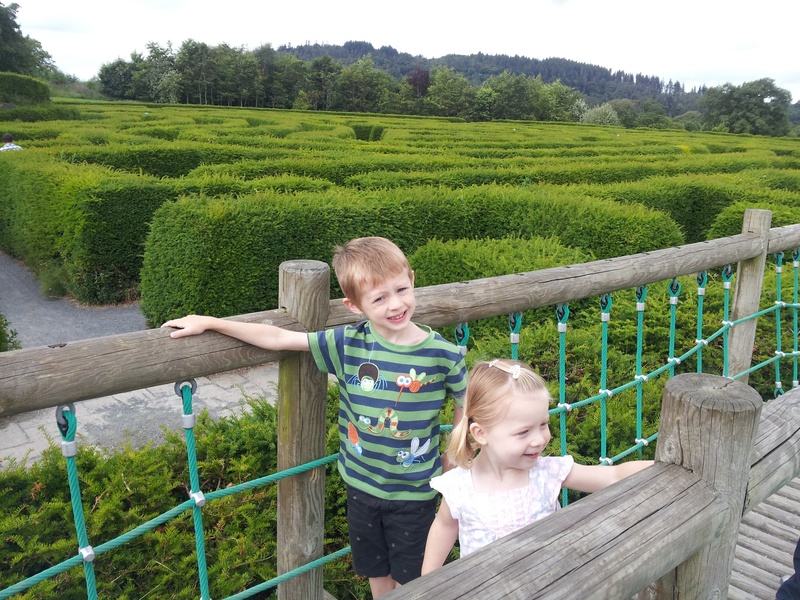 ), lovely walks and a huge Maze. We went with my parents and had a wonderful day with them. That day Lucia must have spent at least four hours solid on her feet. I wondered if this length of time would have a detrimental effect on her legs and feet, if they would feel tired or sore – but they didn’t seem to. She had no complaints, slept well as normal, and apart from being generally tired the next day like the rest of us, she was fine. I cannot express enough how thankful I am that so far Lucia hasn’t experienced any pain and long may that last. We are also so proud to see her running around like a maniac and doing whatever she wants regardless of the Lymphoedema. However, what we have noticed recently is her right ankle is a bit puffier and carrying more fluid. Her shoe now leaves quite a deep ring around her ankle by the end of the day. We aren’t sure why. Daryn’s logic is that she is spending so much more time on her feet that this is natural – and that does make sense. Our physio is currently on holidays and we head off next week, but when we come home we will be looking into this and until then keeping a close eye on it. We have also been doing more MLD on her as well to try and keep the fluid moving away from this area as much as possible. If anyone has any insight please feel free to get in touch. In the meantime we’ll just keep enjoying our fab summer! So this is the first post not about Lucia – instead it is a little bit about one of the lovely families that got in touch with us through the blog, how much they have helped us by sharing their experiences and advice as well as the amazing job they are doing to raise awareness of Lymphoedema. Heather and Andrew are parents to Isla – a gorgeous three-year-old little girl from Scotland who was also born with Primary Lymphoedema in her legs and feet. Their journey almost mirrors ours in how lost and alone they felt in the beginning not knowing what was going on with their child, pushing for answers, spending nights researching and worrying before finally getting a diagnosis and then beginning daily treatment. Isla now wears toeless, knee high, flesh coloured compression socks, Heather and Andrew carry out MLD on her everyday and Heather often spends nights rubbing Isla’s legs when they are sore. From what I know about Isla she sounds similar to Lucia and is a very active wee girl who doesn’t let her Lymphoedema stand in her way. For us, this family has been amazing. Because Isla is 18 months older than Lucia they have been through many of the issues that we are starting to face – and their advice has been invaluable. After the beach episode Heather was able to empathise with our anxiety and then give us fantastic help on how to cope better the next time which has given me so much more confidence. Thanks to her we now have a comprehensive first aid kit, will be checking out Lellie Kelly shoes (exciting!) 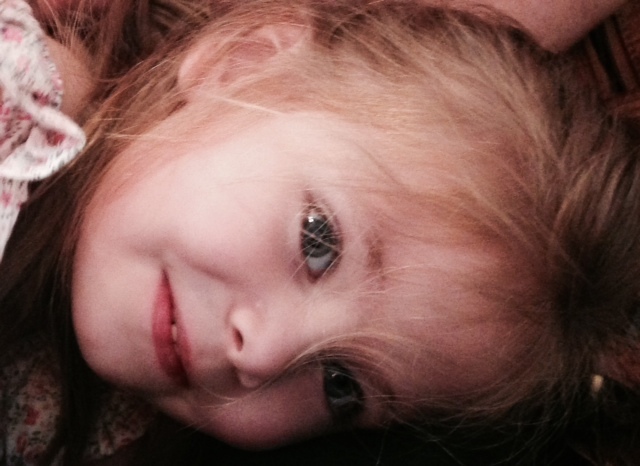 and we just love to see another little girl with Lymphoedema enjoying life to the full. I am so glad to be in touch with this wonderful family and look forward to staying in contact and supporting each other as our girls grow.